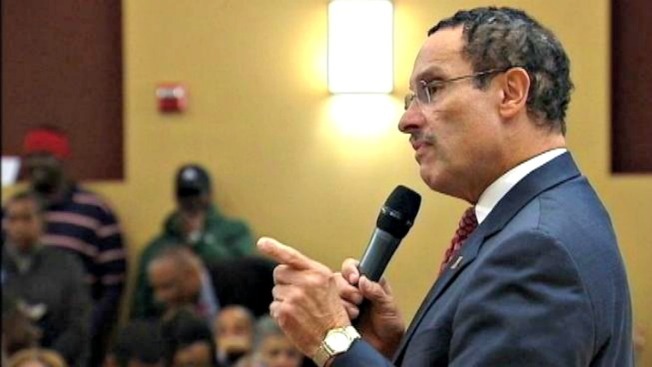 D.C. Mayor Vincent Gray has vetoed the $10.6 billion budget approved by the D.C. Council. Gray said Friday that he can't "in good conscience" support a spending plan that cuts funding for the city's streetcar system, taxes yoga classes and gym memberships and defunds property tax relief for senior citizens. The Democratic mayor is asking the council to postpone its summer recess and spend the next 30 days working with his office on a compromise. Although he acknowledges that he'll no longer be mayor by the time the budget takes effect, Gray also says the budget would hinder future mayors from responding to fiscal problems. Gray lost his re-election bid in the April Democratic primary to Councilmember Muriel Bowser. Council Chairman Phil Mendelson said in a statement that he's disappointed with the mayor's veto and will work with colleagues to override it on Monday. The council approved the budget by a 12-1 margin. Nine votes would be needed to override the veto.